What does it mean to major in German? We train students to be global professionals with superior levels of German language skills. German majors study the language, linguistics, history, and culture of the German-speaking world. They gain the cultural awareness and intellectual strategies necessary to successfully navigate the interconnected and multicultural world in which we live. German is the native language of over 120 million people and a foreign language spoken by 80 million people worldwide. It is an international language of business, education, science, and technology. Our students attain strong language competence in listening and reading comprehension, speaking, and writing skills as well as the cultural knowledge necessary for interacting with Germans in professional or informal contexts. Why is the University of Mississippi a good place to study German? There are four faculty in German, with research interests ranging from medieval literature to 21st-century culture and film. 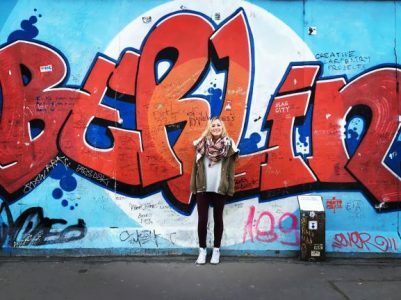 German majors have a wide variety of outside-the-classroom opportunities for language learning. The German Table in the dining hall of the Residential College provides students with opportunities to speak German in an informal setting outside of class. The German Intensive Summer Program provides an on-campus intensive introduction to German in the summer before the freshman year. Students participate in a 4-week study abroad program in the summer after the freshman year, with 6 scholarships available. The Office of Study Abroad provides access to a wide range of study abroad programs in Germany. Students may choose from several German-speaking cities and may study a variety of topics. Dr. Christopher Sapp, Associate Professor of German, earned his Ph.D. from Indiana University. His research and teaching interests include historical morphology and syntax, German linguistics, Medieval Germanic languages, and second-language acquisition. His current projects are a survey of German-language communities in Spanish-speaking countries, and a new dating system for Old Norse mythological poems based on morphological and syntactic criteria. What can UM German majors do after graduation? A liberal arts education empowers and prepares students to deal with complexity and change through a broad knowledge of the world. They gain key skills in communication, problem-solving, and working with a diverse group of people. People who fluently speak a foreign language have better job opportunities. Related careers to German include education, international business & banking, tourism, journalism, law, translation, foreign service, cultural affairs, military service, and health care. Dee started college at Mississippi Gulf Coast Community College, weeks before Hurricane Katrina. He learned what it meant to serve others and gained such honors as Coca-Cola Scholar, Institute for International Public Policy Fellow, Jack Kent Cooke Scholar, and was elected International Vice-President of Phi Theta Kappa. 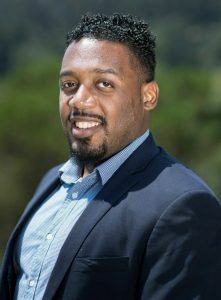 After he transferred to UM, Dee joined the Men’s Glee, became a Croft Scholar with the Croft Institute for International Studies, and a Roosevelt Fellow with the Sally McDonnell Barksdale Honors College. He studied abroad in Mainz, Germany. Whom should I contact to learn more about majoring in German?